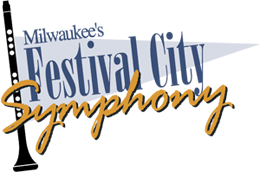 Good afternoon and welcome to the first concert of 2016 by Festival City Symphony. Today we will perform three works: one well known; one universally admired; and one, though by a famous composer, a Milwaukee premiere. Our program begins with a piece that became part of the national consciousness in 1940 when Walt Disney released the cartoon film “Fantasia.” The idea of such a light, airy, delicate work being danced by hippos in tutus truly struck our collective funny bone. Dance of the Hours was written by Amilcare Ponchielli (1834 – 1886) as a part of his opera La Gioconda (The Ballad Singer). Premiered in 1876 at Milan’s La Scala opera house, La Gioconda was an immediate hit and is still produced today. If you recall “Fantasia” as we are playing, smirks and chuckles are encouraged. It is rare to be able to share a master work by a composer as famous as Felix Mendelssohn (1809 -1847) that is so seldom performed as his Concerto for Violin and Piano in d minor. Though only 14 years of age when he wrote it, Mendelssohn had already composed a large body of orchestral and chamber works. The brilliantly virtuosic Concerto was written as a performance vehicle for the composer, an accomplished pianist, and Eduard Rietz, his friend, mentor, and violin teacher. Mendelssohn was studying composition with Johann Nepomuk Hummel (1778 – 1837) who had written a similarly scored piece and may have suggested the form to him. We are privileged to have two Milwaukee-based artists, pianist Stephen Swedish and violinist Ilana Setapen, join us for what we believe to be the first performance of this work in Milwaukee and perhaps in Wisconsin. I am indebted to Stephen for bringing the piece to my attention. This season we celebrate the 150th anniversary of the birth of Jan Sibelius (1865 – 1957). It seems appropriate to do so by playing his Symphony No. 5 in Eb, premiered in December of 1915 at a gala concert organized for his 50th birthday. So revered was Sibelius in his native Finland that this celebration was treated as a national holiday. Despite being composed during World War I, the Fifth has been described as being “… sunny and genial throughout…” It is his most personal symphony. Though having only two movement breaks, the work has the traditional four movements, not three. The first two sections are connected without pause. We hope you enjoy this program of music from hippos to Helsinki. Please join us again on March 20 for a concert featuring Mozart and Tchaikovsky.